Whether you wish to build your dream home or would like to maximise return on your building plot, Ian will work personally with you. Bespoke design does not necessarily mean high costs. Efficient use of materials, construction techniques and design can save time and money during the build. We offer full or partial design services tailored to your requirements and budget. 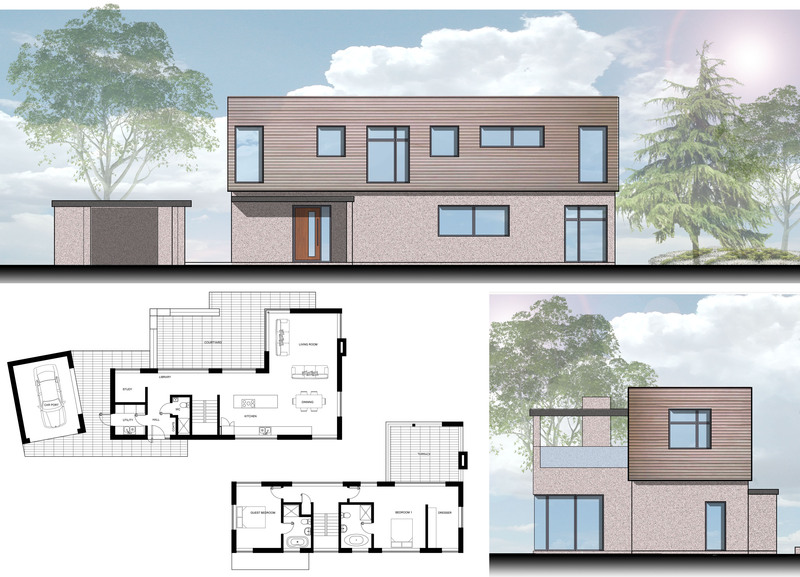 The proposed dwelling is modern and well proportioned open plan design containing a mixture of materials including rendered walls, aluminium windows and timber cladding to provide variety across the elevations. 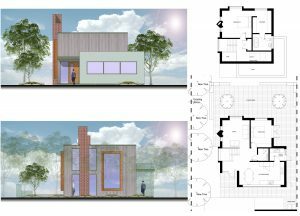 The open floor plan allows for the ability to create spaces without being limited by the placement of walls for structural support, and enables the freedom to design the outside and inside facade without compromise. A contemporary annexe to the main dwelling house, the design focused on taking full advantage of views to the open countryside. 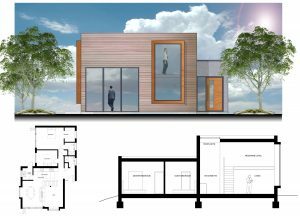 The design is based on two intersecting subes which allows for a variation in height to create more interesting elevations and also allows for a mezzanine level study/guest bedroom. The house is shaped around an external courtyard the pallet of materials timber cladding an render and widely used in housing. 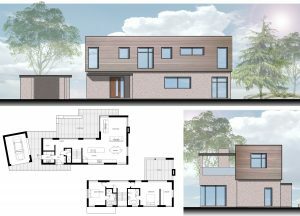 The building fabric has been carefully considered to provide the maximum thermal efficiency possible as the client was keen to keep running costs to a minimum. An internal steel frame will be the main support which will allow a free plan. The steel frame would be infilled with highly insulated walls. 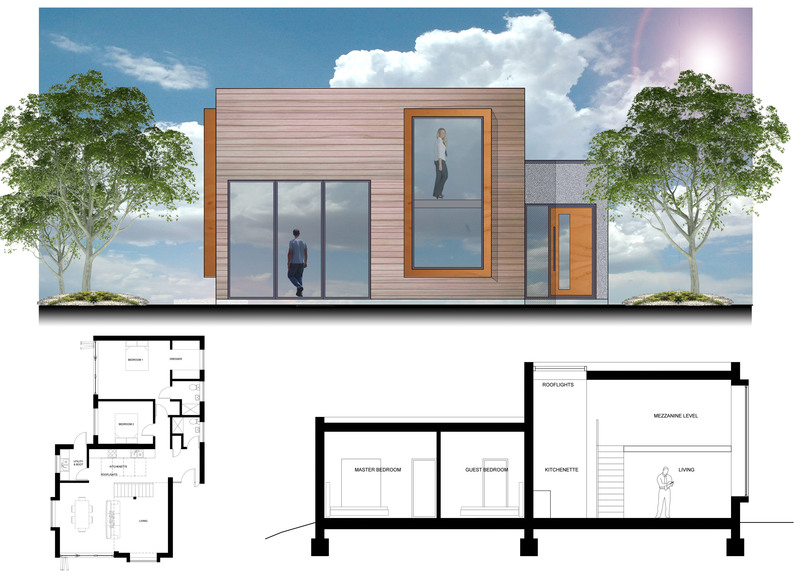 A sustainable form of heating is to be provided in conjunction with a heat recovery system the dwelling will consume the minimal amount of energy in comparison to standard mass market housing. Tayfen Road is a mixed use development that serves as a gateway to Bury St. Edmunds town centre. The vision is to create pedestrian permeability with interesting spaces between the buildings to create an urban community. The above images give a flavour of the residential buildings. Ian worked on this scheme whilst at Woods Hardwick. 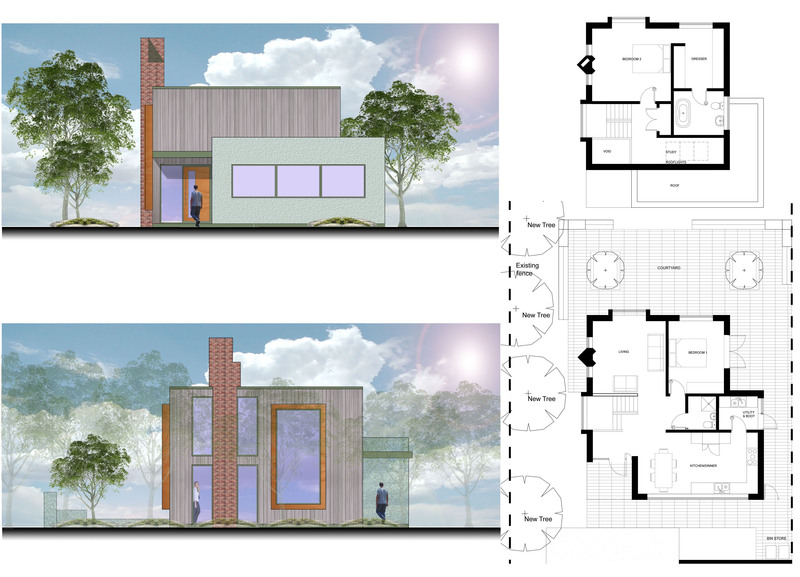 Copyright © 2019 iblaney architects bedford.